Ecobank Transnational Incorporated (Ecobank), the parent company of the Ecobank Group, the leading pan-African bank with operations in 36 countries across the continent, appointed Ade Ayeyemi as its new Group Chief Executive Officer, effective from 1st September 2015. Mr Ayeyemi, 52, will replace Albert Essien, who retires on 30th June, 2015 after 25 years of service with the Group. 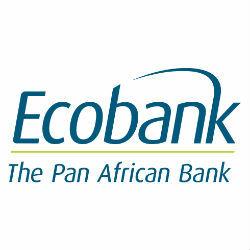 An interim arrangement will be made by the Ecobank Board for the management of the Group during the period 1st July through 31st August, pending the resumption of the new CEO. Mr Ayeyemi is a highly experienced banker who has had a long and successful career with Citigroup, where he is currently Chief Executive Officer of Citigroup’s sub-Saharan Africa division, based in Johannesburg. Mr Ayeyemi is an Accounting graduate of the University of Ife, now Obafemi Awolowo University, Ile-Ife, Nigeria, where he earned a Bachelor of Science degree with First Class Honours. He also studied at the University of London and is an alumnus of Harvard Business School’s Advanced Management Programme. A Chartered Accountant, he is also a trained UNIX Administrator and Network Operating Systems Manager.